Coulomb Technologies, a company that builds electric vehicle charging stations in urban areas, announced a new method of locating charging stations through TomTom navigation systems. When accessing the locations through TomTom, drivers can also pull up the connection type, speed of charging and the cost to recharge a vehicle. This application is being shown off at the Plug-In 2011 conference in Raleigh, N.C., but Coulomb representatives didn’t specify a date when the addition to TomTom GPS would be added. Electric vehicle owners can already access information on the Web though Coulomb’s site as well as applications on smartphones. Also announced at the Plug-In 2011 conference, AAA added mobile charging via roadside assistance if a motorist runs out of power during a drive. Launching a pilot program in Portland, Seattle, San Francisco, Los Angeles, Knoxville and Tampa this summer, the charging truck helps powerless drivers to get to a charging station or home. These trucks are outfitted with Level 2 and 3 chargers which have a much faster charging speed than a normal household outlet. Drivers can expect to get 3 to 15 miles out of a 10 to 15 minutes recharge from one of the trucks. AAA is testing different types of charging trucks as well. Some of the trucks use generators to create the electricity while others come equipped with mobile lithium ion battery packs. 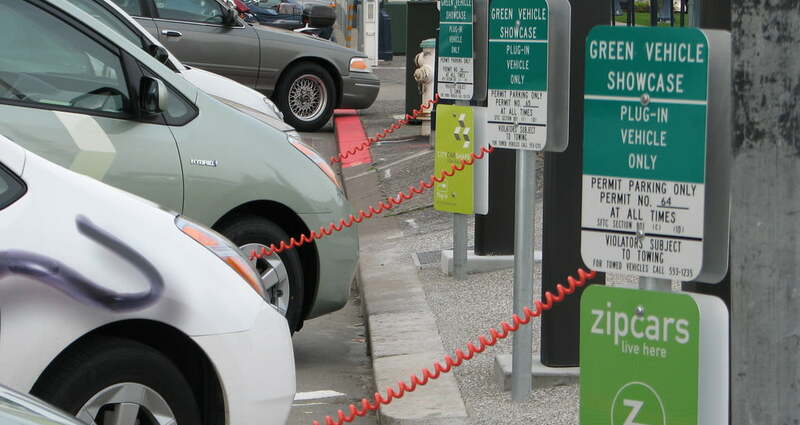 This is the first attempt at rolling out an electric vehicle charging service in the United States. 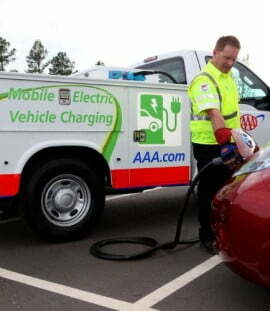 AAA expects to broaden the initial test and eventually offer the charging service nationwide. The six urban areas were chosen initially due to the high level of electric vehicle ownership and the investment in public charging stations for citizens. Both of these efforts from AAA and Coulomb Technologies are designed to reduce the amount of public fear concerning running out of power while driving.